We met for lunch and afterwards were heading down the walk to a local office supply store. 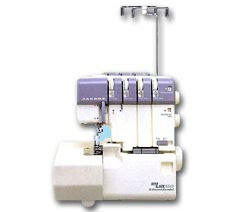 I suggested that we stop by one of those sewing machine/vacuum stores to take a look at there sergers. We were offered a great deal on a floor model that he could not resist. The purchase also came with a three year warranty and free lessons on how to use the machine. The free lessons are great since I am not one that loves to read directions/instructions :( I plan on using it today to make a pair of ruffle pants for Kayden, so I will hopefully get a chance to share. We have had family visiting all weekend so I am itching to have some time alone to get to know my new toy!!! Happy Sunday everyone and enjoy the cooling weather...fall is definitely here!! !